One of the real joys of any type of handwork is sharing that skill with others. Our schedule for class instruction is open.Please check back regularly, follow our Facebook page or join our mailing list to keep updated on what's happening at EVF. On-line registration is easy! Two-hour instructor facilitated knitting session during which students may work on any project of their own choosing and receive help from an instructor. The classes are limited to a maximum of 5-6 students to ensure more opportunity for personalized attention from the instructor and to create an enjoyable and relaxing social atmosphere. 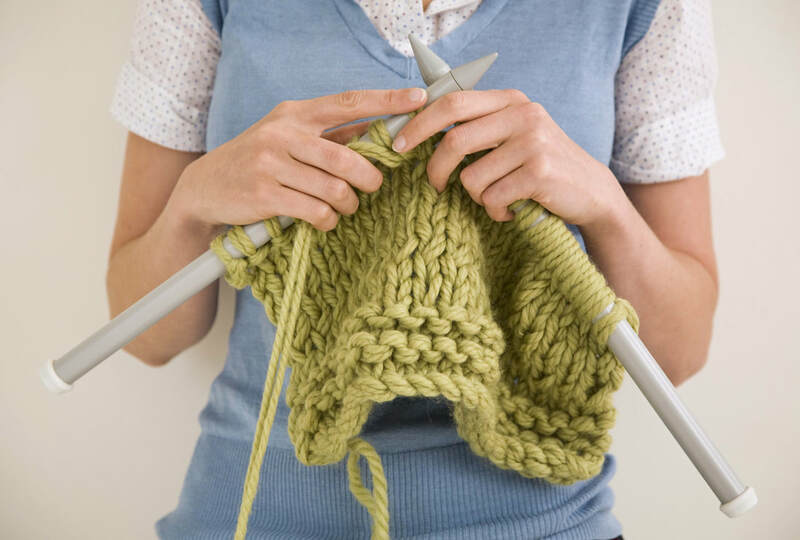 Knitting instruction is offered on Wednesday or Saturday from 12noon to 2pm. Pre-registration is required to participate and students are respectfully asked to use yarn purchased from Echo Valley Fiber during these classes. Beginners are welcome! The cost is a minimal $10 per session, with Yarns purchased from the store. If the yarn has been purchased elsewhere, the cost is $15.Prices are subject to change. 90-minute instructor facilitated crochet session during which students may work on any project of their own choosing and receive Gwen’s help. The classes are limited to five students to ensure personalized attention and allow an enjoyable experience. The cost is a minimal $5 per session. Prices are subject to change. Please sign up in advance. These specialty classes are held on many Saturdays from 2-4pm. As instructional group knitting classes (or crochet or felting, etc. ), all students work on the same specific project for the duration of the class. Students will receive individual attention from the instructor on how to complete the project using specific technique(s). The classes are limited to a maximum of 6-8 students, depending on the project, to ensure more opportunity for personalized attention and to create an enjoyable and relaxing atmosphere. Depending on the difficulty of the project, these classes may take more than one Saturday session. Students are respectfully required to use yarns purchased from Echo Valley Fiber during these classes. Pre-registration is essential so that enough materials are available for students. Lessons are available by appointment only by calling the store. Individuals taking private lessons receive instruction on the topic of their choice, including beginning knitting or crocheting, and may bring their own materials to the lesson. They may, of course, choose to purchase materials from Echo Valley Fiber.